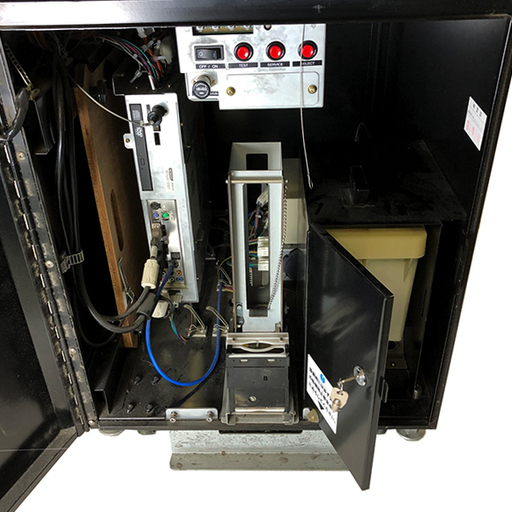 Hi everyone, I've found a dump of this arcade, but this can't run with any of the .exe inside of it. CARD DISPENSER: this cab can dispense some yugioh cards, your computer can't... anyway the device is emulated to fool the game. -DUCON for his knowledge and his friendship. Great job as usual Mohkerz, many thanks for this and all the other work you do my friend and a very Happy New Year to you too. download link is now available! 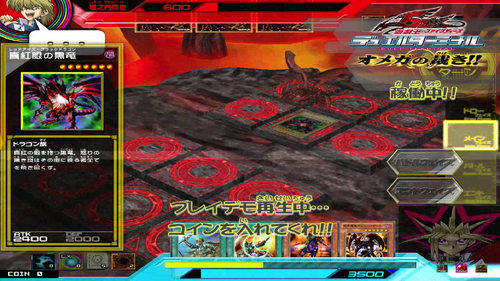 the mouse yugi icon appears and can wave around but no input or space start non responding. Thank you Mhkerz for your dedicated work on arcade games and happy new year too. I don't know what to do to give this working. About controls, try adding some dinput or dinput8 dll in contents/exe directory. On what system did this game originally run on? No Mouse No Cursor working here on win 10. But no dice no controls to play any advice greatly appreciated. Here is a print screen with the error message. Normally, my win 7 is updated with the lastest win update. This win 7 package have to be installed independently of the microscoft automatic updates ? I remember that you had previously been working on this game. I also got that same D: drive error when I tried to run the game on my Windows 10 PC but the game actually ran when I tried it on my older Windows 8.1 laptop but I also have no mouse input on there too. Staying patient for any help or fixes. Still, thanks again for making this possible. Thanks for the screenshot, is everything OK during init ? My init has a red error on the mouse input so I guess not all the paths are right somewhere but I have tried different paths. Have you run it as Admin? Yes, I ran the EXE file as admin, with no luck. 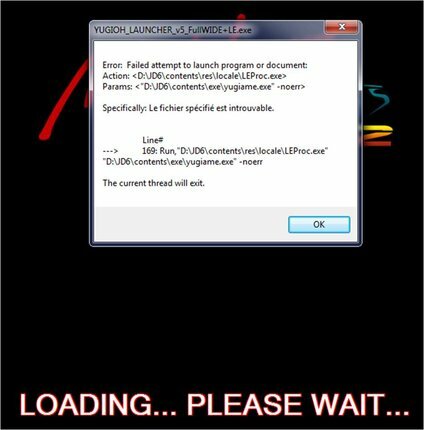 The game starts loading up followed by the error screen. Ok, so this game require some settings to run, let's try without making game portable, as it seems to break things on different systems. This game have some path sensitive files required, especially main folder on d drive. This game creates and writes settings (nvram, coins, network, etc...) on another drive (E:, F:, or G:) in a CONF directory on root. Now, for compatibility reasons and testing with your own settings, go to D:\JD6\contents\exe folder and remove some files here (just cut them and paste them somewhere else atm). 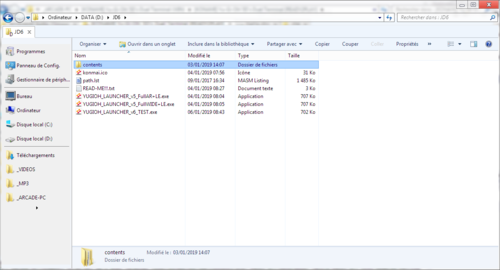 There are 5 files you need to remove : d3d9.dll, d3dx9_28.dll, dbghelp.dll, dxwnd.dll and dxwnd.dxw. This launcher just handle some hotkeys to close game and others things, and mainly run the game with Locale emu for japanese, and the main exe (yugiame.exe) with -noerr argument. 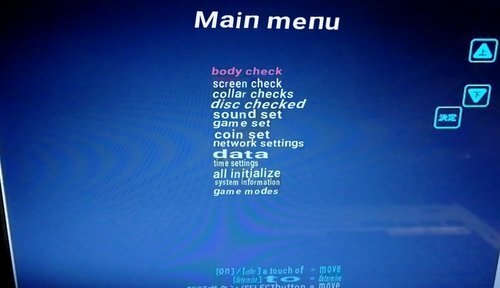 This command will run the game with all hooks enabled to play this game on standard computer, except the Locale emulator taking care of japanese. Let me know how it works for you and if inputs are working or not, I'm currently working on dll patch for you to test.... see ya! OK, I did not fully understand last answer, but for you, original release patches and inputs are working even on Win10?.... nice! I worked on some dll patch, but to help users i have to know if they have inputs problems (only offsets?) or d3d problems.... lemme kno. Well I tried your latest test fix and also made a d drive, you can see that the cursor is working but the mouse is underneath the app so it's not clicking the options etc. OK that is with launcher isnt it ? Did you try by launching exe by yourself ? Did you try the 2 dll i posted to see results ? I tried all exes and both dll's they did the same thing nothing but what I have noticed as its going through all the checks it says camera MOUSE touch panel MOUSE this seems like a confliction somewhere? 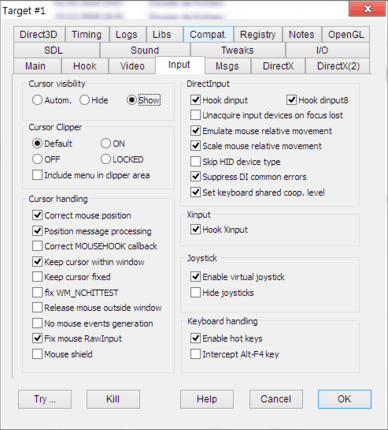 , and check some input things related to mouse like keeping focus etc... I know this problem. I can send you a screenshot of options that fix that behavior, but that needs dxwnd atm. (You need to activate expert mode to have all options working). (You have to let dxwnd main program window open for it be effective). Has anyone had any luck getting this to work successfully? I have Windows 10 laptop and I would love to play this.